Using a combination of formal and photojournalistic styles, we create fabulous wedding portraits that are uniquely you! 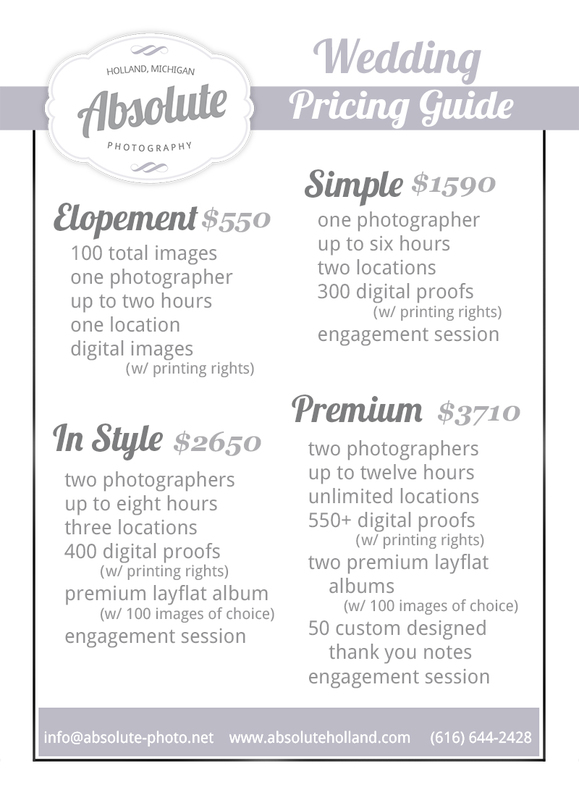 All of our packages come with the high resolution, print released jpeg files that make printing and sharing your wedding day images easy and affordable. The “In Style” and “Premium” packages also include 1 or more premium, lay-flat coffee table albums to showcase up to one hundred of your favorite images. With four different packages to choose from, you can ensure that we are with you to document and capture your special day every step of the way! Not seeing a package that meets your specific needs? No problem! Send us a message and we’ll happily create a custom package just for you. We also are happy to add an Engagement Session on to any wedding package free of charge, as well as offer a 75% discount on the high resolution disk with printing rights to this added session! Payment plans are available, please inquire more information! We look forward to meeting with you and discussing how we can make your most precious memories last a lifetime!